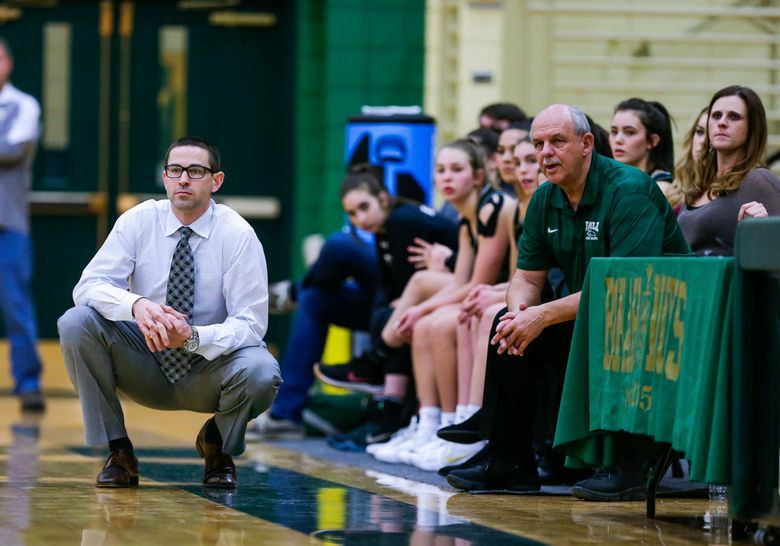 UW's all-time passing leader never intended to get into coaching — let alone high school girls basketball — but has led Eagle (Idaho) to a perfect regular season and a national ranking. He remains, for now, the most prolific quarterback the Huskies have ever had. As a three-year starter from 2001-03, Cody Pickett threw for 10,220 yards and 55 touchdowns — two of the 21 passing records he set at Washington. He was tough, too. Remember when he threw for a school-record 455 yards against Arizona in 2001, then dived in for the game-winning touchdown with 13 seconds left? He did all that with a separated throwing shoulder. Two years later, as a senior in 2003, he played most of the season with a torn pectoral muscle, and also suffered a knee injury and a concussion that season. He never missed a start. Pickett, who famously grew up on a 20-acre ranch off Chicken Dinner Road in Caldwell, Idaho, is now a 37-year-old father of three, having settled with his family near Boise. He is a partner at Financial Insurance Group National, and he spends most his winter evenings coaching girls basketball. His new team is mighty tough, too. 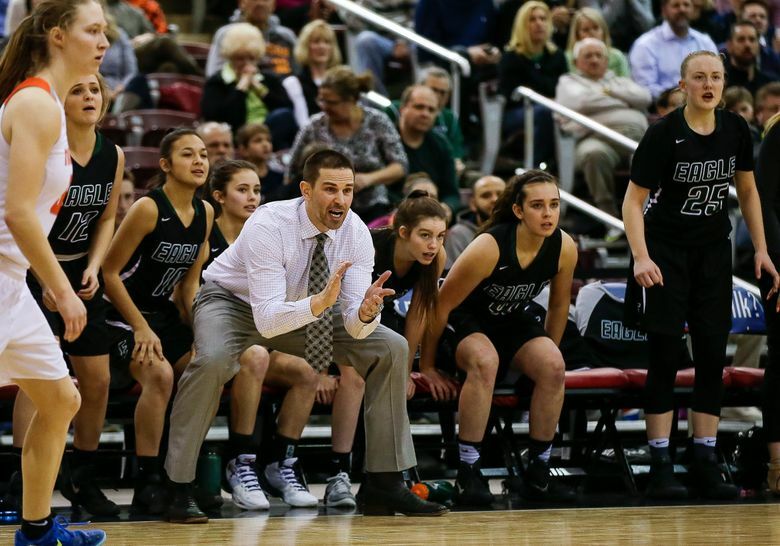 Pickett is the coach of the Eagle High School girls basketball team — a team that will enter the postseason Thursday undefeated and nationally ranked by USA Today. After debuting in the USA Today poll last week, Eagle rose three spots to No. 22 this week. The team is 21-0 and beating opponents by an average of 26.4 points per game this season. Idaho’s top-ranked team all season, Eagle returned eight players from a team that was 25-2 last season, losing a heartbreaker in the state-championship game by three points. Pickett and the Mustangs are right on track for a return to the title game this season. He never intended to get into coaching. But he was home one offseason during a seesaw pro football career — which included stints with three NFL teams, one year in NFL Europe and then time with three more teams in the CFL — when his father, Dee, asked him to join him with a club girls basketball team he was coaching. Pickett reluctantly agreed to help his dad and his reconnection with basketball began to grow. Pickett says he is “in an awesome place right now.” This is his fifth season as the Eagle coach, and he has a 10-deep rotation with three seniors who plan to play in college. The Mustangs have their first Southern Idaho Conference tournament game on Thursday, and the state tournament is set to start Feb. 15. The program is chasing its first undefeated season. Pickett’s many passing records at UW, meanwhile, may not stand much longer. Jake Browning will enter his senior season this fall with 9,104 career passing yards, closing in on Pickett’s record of 10,220. “I think it’s great. I hope he gets all of them,” Pickett said. After his graduation from UW, Pickett lost touch with the program, and didn’t attend a game at Husky Stadium for more than a decade. His reconnection with the Huskies began to grow with Chris Petersen’s arrival, and Pickett attended two games this past season, even traveling to New Jersey for the season opener against Rutgers. Pickett’s father was a two-year starting QB at Boise State in the 1970s, and the Picketts had watched closely as Petersen built Boise State into a national program. Cody Pickett is thrilled at what Petersen is now doing in Seattle.